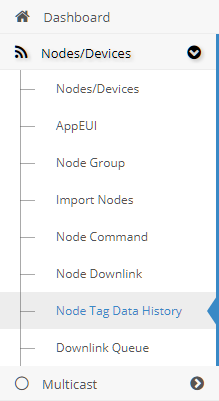 The Node Data History item can be found on the left-side menu: it is placed under the Nodes field. The Node Data History is used to see the past data sent from the node to the server. The data displayed is different from node to node.